Simon Cowell is to be honoured as the MIPCOM 2014 Personality of the Year. The TV producer, music label boss and renowned talent show judge will receive his award on 14 October. 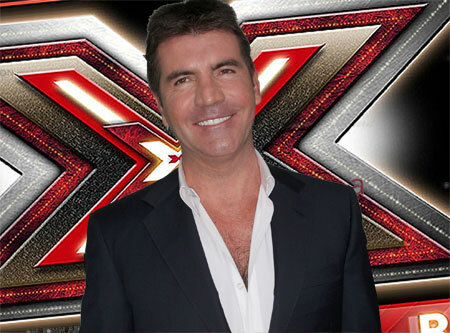 On October 13th Cowell will give a keynote interview in the Grand Auditorium of the Palais des Festivals. One of the best-known faces on TV screens in the world, Cowell has transformed popular culture in the 21st century through his wide-reaching TV and music enterprise. “Simon Cowell is a visionary producer whose television franchises are on air in almost 200 territories around the world, underlining his status as a global creative icon. In recognition of his amazing career as a creator of international formats and his formidable impact on the entertainment industry as a whole, we are honoured to welcome him to Cannes as the MIPCOM 2014 Personality of the Year,” said Paul Zilk, CEO of Reed MIDEM, organiser of MIPCOM. Cowell’s Syco Entertainment is a world-renowned music, film, and television production company responsible for some of the most successful global music and television franchises. Syco’s television assets include the two international phenomenon formats: “Got Talent” and “The X Factor” both created by Simon Cowell. The Syco Music roster includes stars such as One Direction, Little Mix, Susan Boyle, Ella Henderson, Il Divo, Labrinth, Cher Lloyd, Fifth Harmony, Alex & Sierra, and Collabro. Under Cowell’s stewardship, Syco Entertainment continues to develop global TV formats that have appeal throughout the TV, Film and digital world. In April, “Got Talent” was officially named the World’s Most Successful Reality Television Format by The Guinness Book of Records. Alongside Syco’s longstanding co-production partner, FremantleMedia, original versions of Got Talent are now being produced in 62 territories worldwide. Emmy-nominated “America’s Got Talent” has been the No.1 rated summer programme ever since its launch in June 2006. Now in its ninth consecutive season, the show currently airs in 193 countries worldwide. “The X Factor” is now produced in 49 territories around the world since its launch in the UK in 2004 where it remains the #1 entertainment show and a cultural phenomenon. The format has launched more superstar artists’ careers than any other TV format. Artists discovered by the show worldwide have sold more than 160 million records, including 170 No.1 hits, and 380 Top 10 records. In 2002, Cowell became lead judge of the fledgling “American Idol.” By the final of the second series in 2003, a staggering 38 million Americans were tuning in to watch Cowell on the show. Cowell was the lead judge on the US “X Factor” for three years from 2011 before leaving to make his return to the UK show as a judge for its 11th season, which begins in August 2014. In August 2013, Cowell produced his first feature film, “One Direction: This Is Us.” The movie debuted at No.1 at both the US and UK box offices, before going on to enjoy international success. For his newest take on the singing competition genre, Cowell has teamed up with Univision to create “La Banda,” a series which will search the US and Latin America for the next Latino boy band in 2015. Syco also recently announced a ground-breaking new music show, “Ultimate DJ,” in partnership with SFX and T Mobile.